The alter ego of multi-instrumentalist, programmer and videographer Janine Rostron, Planningtorock fuses all of Rostron’s talents into a dazzling audiovisual presentation that borrows from classical music, glam rock, spacey imagery, and hip-hop. A classically trained violinist who began playing at age eight, Rostron moved from Bolton, Lancashire, to Berlin in the early ’90s; the Planningtorock persona first surfaced in 2002, when she began performing at the city’s clubs. 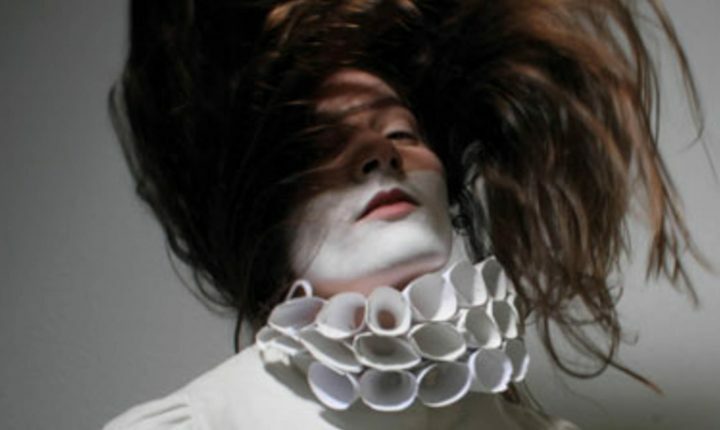 Planningtorock’s live shows are blurring the boundaries between concerts and performance art, with Rostron wearing outlandish helmets and costumes and interacting with video characters. After signing to Chicks on Speed Records, Planningtorock released the limited-edition 7″ “Changes/I Wanna Bite Ya” early in 2006 and her first full-length, “Have It All”, that summer.